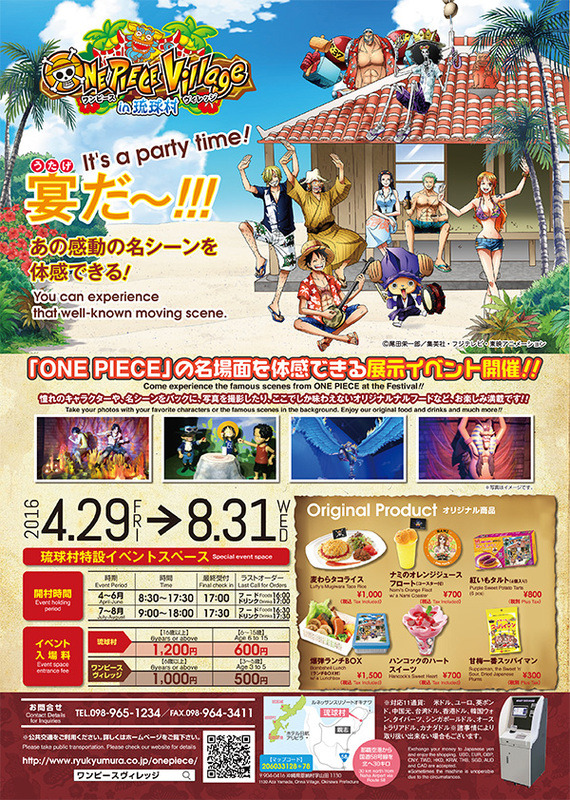 Take a photo with life-size figures from the cartoon One Piece in the exhibition space; try specially prepared food items such as a lunch box with pirate’s favorites, a frankfurter on a “stick” and fried chicken and potatoes, or a plate of taco rice resembling a straw hat, and more; or buy limited edition items that can only be purchased here. *As ONE PIECE Village is located inside Ryukyu Mura, admission to the theme park (1,200 yen for ages 16 and over, 600 yen for ages 6-15) is also required. In addition, the Mugiwara Store is open at Ryugujo, located near Okinawa Churaumi Aquarium in Motobu.